The roadworks that threatened to disrupt the centre of Chipping Norton for most of August were finished last Friday – a full week early, leading to Chippy Mayor Mike Tysoe calling it “a fantastic job”. He acknowledged the concerns expressed by local business owners, who had criticised the council for not letting them know about the roadworks in good time. 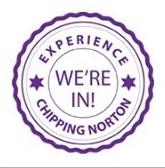 However, both he and County Councillor Hilary Biles, who was present at the town council meeting, made clear that the roadworks had been in the public domain since at least April, with coverage being included in the May edition of Chipping Norton News. He said that perhaps the town council could be more proactive in such cases, but added that it was difficult with projects planned by Oxfordshire County Council, as timescales could change. But now, at least, the roadworks are completed, and completed early – and town can now get back to normal. This entry was posted in news, places and tagged August, business, county council, high street, Hilary Biles, Horsefair, mayor, Mike Tysoe, roadworks, shops, Town council. Bookmark the permalink.